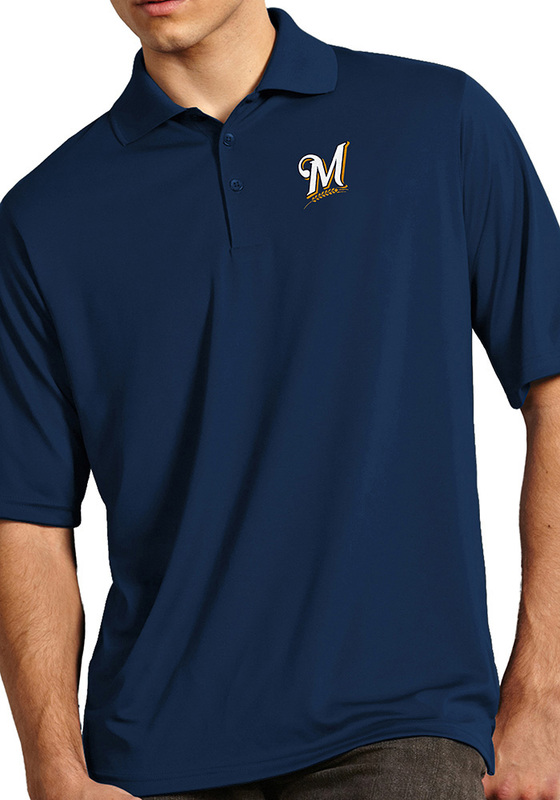 Showcase your Milwaukee Brewers pride at the office or on the golf course in this Antigua Navy Blue Exceed Short Sleeve Polo! You'll look sharp in this Brewers Polo, which features a 100% polyester Desert Dry™ Xtra-Lite D²XL moisture management soft jersey micro flat pique solid short sleeve polo with 3-button placket, pearlized buttons, flat knit collar, open sleeve and square back yoke. Antigua square embroidery patch on right sleeve.. This Milwaukee Navy Blue Exceed Short Sleeve Polo Shirt is the perfect update to your professional wardrobe.